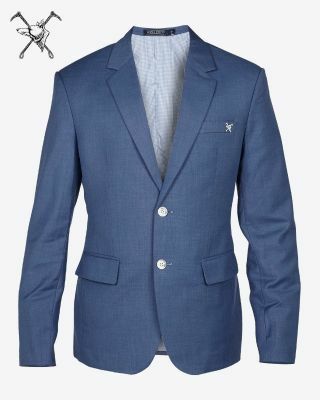 60% Wool, 40% Polyester. 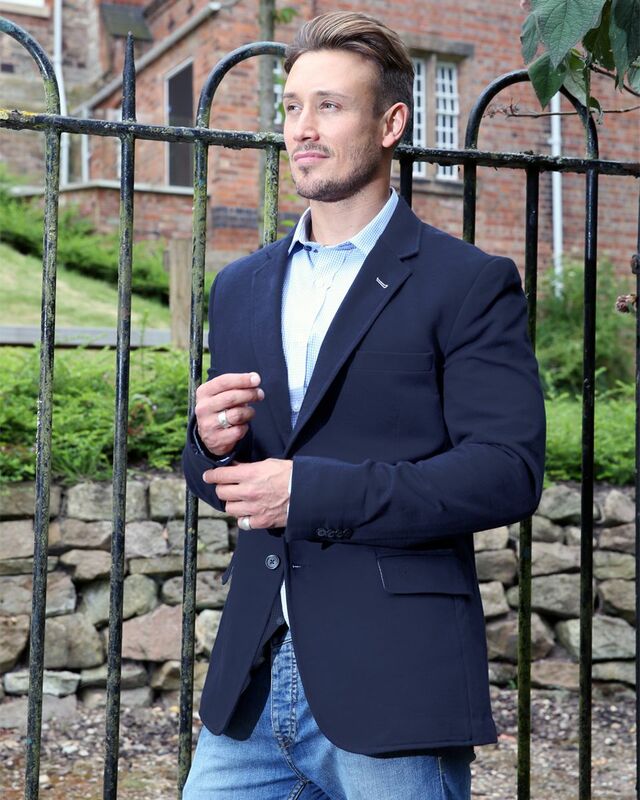 The historical tale of our own brand clothing company Fox & Crop is rooted deep within the heart of Britain, Leicestershire itself. 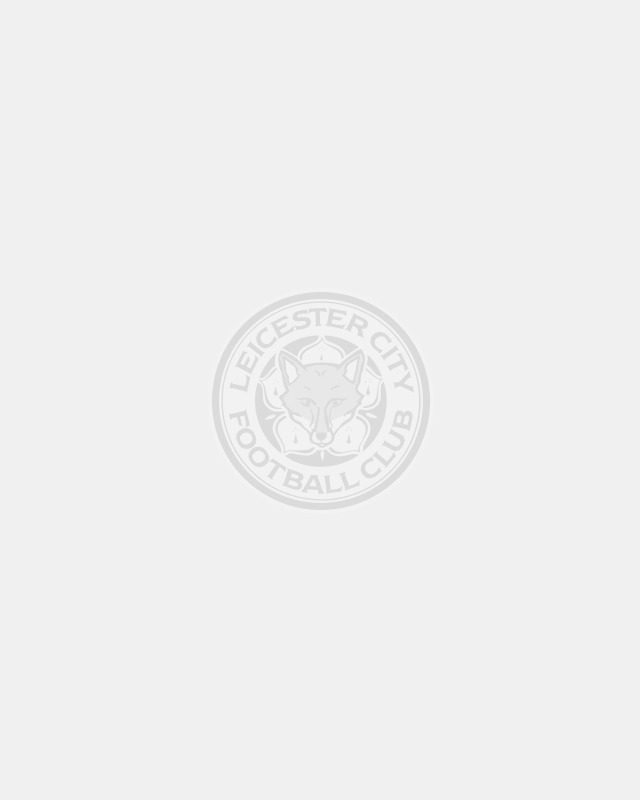 Focusing on the heritage of the club and the county, The Fox & Crop motif was inspired by original drawings which formed the basis of Leicester Citys famous Fox & Crop crest between 1949 and 1983. 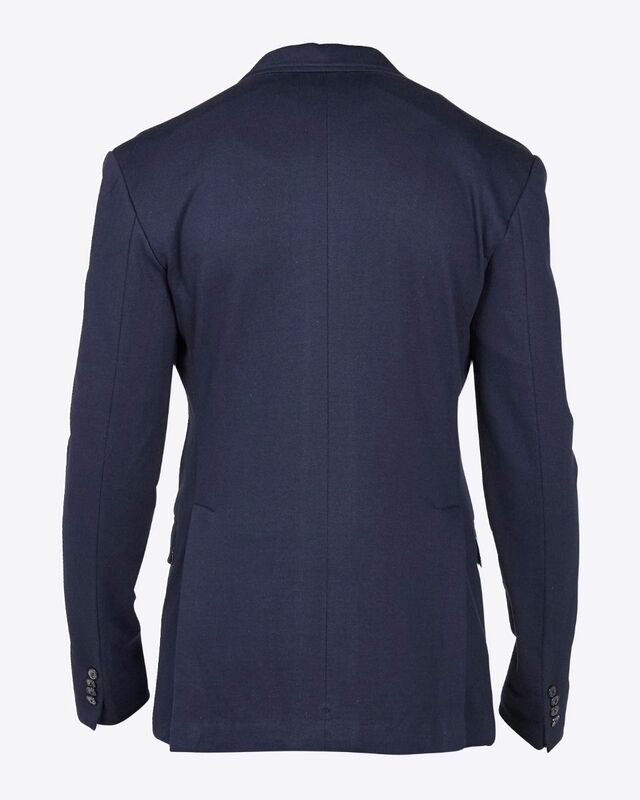 This mens blazer features the motif design embroided onto the left sided pocket in a dark blue shade, which casts a subtle difference to the navy tone used throughout. 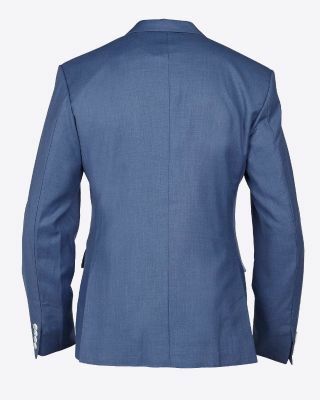 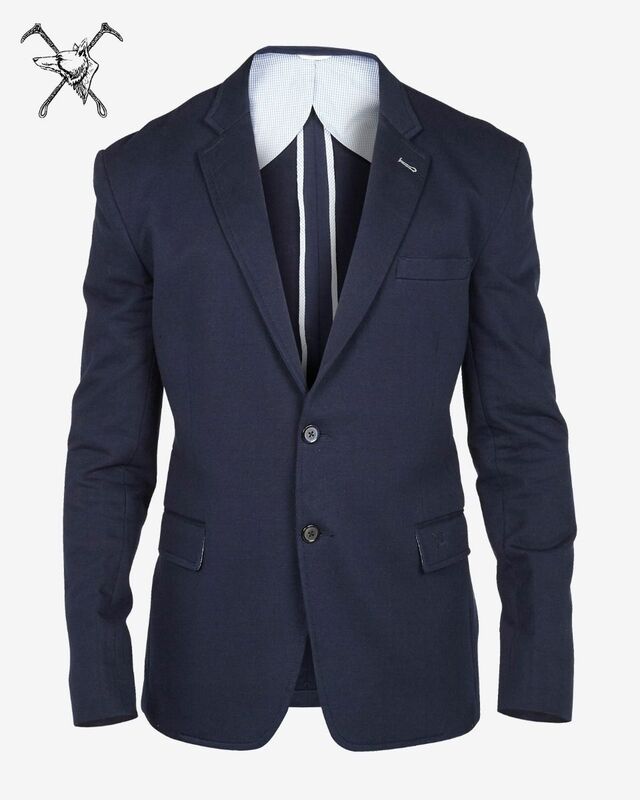 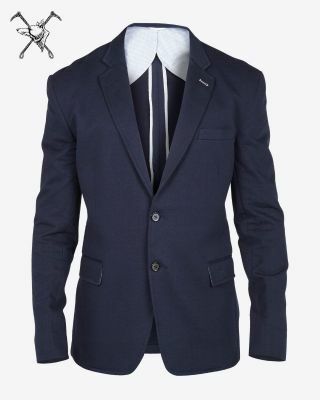 With folded lapels either side and two front facing pockets, this blazer has a regular fit to it, which sits close to the body.